Provide comfort for the family of Joshua Lee Jones with a meaningful gesture of sympathy. 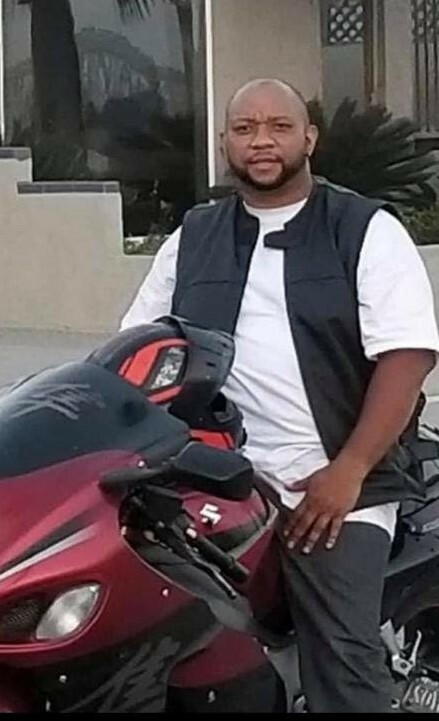 On Tuesday, March 12th, 2019, Joshua Lee Jones, loving father three children, went to be with the lord at age 40 after a motorcycle accident in Riverside, California. Josh was preceded in death by his mother, Patricia Jones. He is survived by his father, James A. Jones, Sr. and three children, Morgan L. Wright-Jones, Jordyn D. Wright-Jones, and Josue D. Jones. Joshua had three brothers that loved him dearly: James A. Jones, Jr., Jamar L. Jones, and Jeremiah L. Jones. He was also loved by a host of nieces, nephews and cousins. Joshua was beloved by friends, coworkers, and associates. Joshua was born on September 30th, 1978 in Anaheim, California (located in Orange County) to James and Patricia (Lundy) Jones. He received his associates degree from Strayer University in business. He was a strong believer in education. Before his passing, he was continuing to retrieve his bachelor's degree from Phoenix University. Joshua was the owner of a successful tax consulting and preparation company for 16 years. He also did a various other jobs in his lifetime. Joshua Jones had a sense of humor that brightened people's lives. He had a way of making people feel welcome. When Josh was a kid, he always had to ride in the front of the car. He was competitive and he had to win at every game when he was a kid and as an adult. Furthermore, when he was a kid, he was always the first to finish his food. Josh was always creating things. Josh had an entrepreneurial spirit from the time he was a child into his adult life. Josh, aka “Cornbread” had a passion for eating food and riding motorcycles, football, working out (staying fit), music, dancing, poetry, fashion and singing (although he couldn't sing). Josh loved cleaning (He had OCD). He was also known for his famous cornbread. As a child, he had to have his dinner by 5 o'clock. If not, he would have a temper tantrum. He was in love with his mom's cornbread once he got older. He figured out how to make her cornbread and enhanced the recipe to be better than hers. He had a jolly and kind personality. He was very caring and loving. But don't misunderstand or be fooled; he had another side. If you had crossed him in anyway, then the Hulk came out. If you messed with his family or friends, watch out! He was protective over his loved ones and loyal to a fault. Definitely charismatic to the ladies. He genuinely loved all people. It didn't matter what race or color. Josh also loved to imitate people and make jokes. He pursued his dream and moved back to California in August 2014. He was loved by his children, who were known as Children of the Corn. While in California he joined a motorcycle club. In conclusion, Joshua L. Jones memory will live on forever. To send flowers to the family of Joshua Lee Jones, please visit our Heartfelt Sympathies Store. We encourage you to share any memorable photos or stories about Joshua Lee. All tributes placed on and purchased through this memorial website will remain on in perpetuity for generations. Provide comfort for the family of Joshua Lee Jones by sending flowers. I wanted to express my heartfelt condolences to all of Joshua’s family. Death is the hardest thing we have to deal with in life. I know my words can’t change anything and can do little to ease the pain you are feeling, so I pray that the God of comfort calm your hearts and help you heal. (2 Thessalonians 2:16,17) One way that God comforts us today is by moving people who care about us to give us words of encouragement that we need to hear. For the Bible’s answers to questions about grief and death please visit JW.org. My sympathies to the Jones family. I am very sorry for your loss. The difficult time of losing someone we love leads to many quesions in our minds and leaves a hole in our hearts.May God's word bring you hope and strength to endure (Isaiah 41:10,13). The scripture at John 5:28,29 speaks of a resurrection hope for the future. What that can mean for your family is a real hope of being reunited with your dead loved one, Joshua. It is my hope that you will find comfort now and in the days ahead. My sincere thoughts and condolences.